Wireless Transmission Speed: 300 Mbit/s. Wireless LAN Standard: IEEE 802.11n. Wireless Security ISM Band: Yes. UNII Band: No. 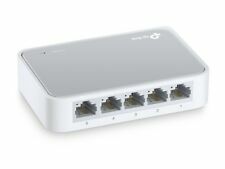 The 300 Mbps Wireless N Router TL-WR840N is a combined wired/wireless network connection device designed specifically for small business and home office networking requirements. The TL-WR840N creates an exceptional and advanced wireless performance, making it ideal for streaming HD video, VoIP and online gaming. Also, Wi-Fi Protected Setup (WPS) button on the sleek and fashionable exterior ensures WPA2 encryptions, preventing the network from outside intrusions. Unlocked Modem USB 4g LTE Huawei E397U53 Worldwide Hotspot Service Required Onl. Solid, dependable. Just what I needed. Very easy to set up and control. The overall footprint is pretty small and it provides great coverage.